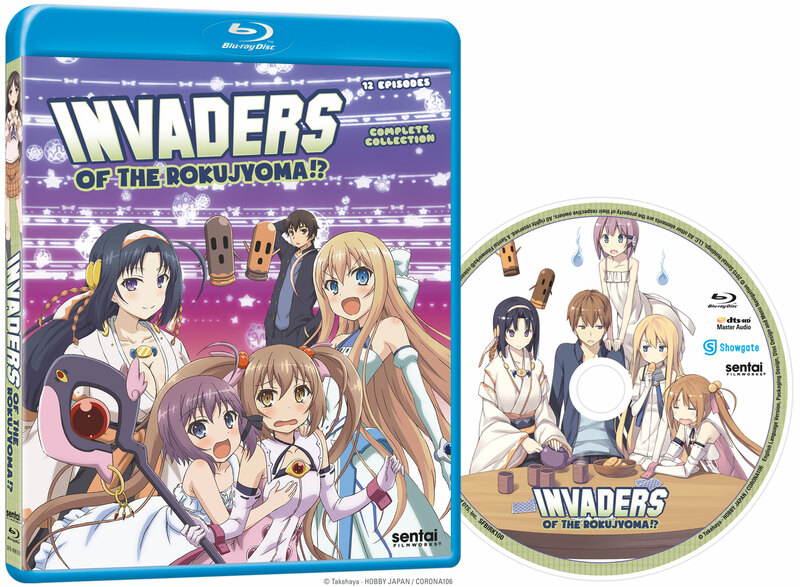 This Invaders of the Rokujyoma!? collection contains episodes 1-12. 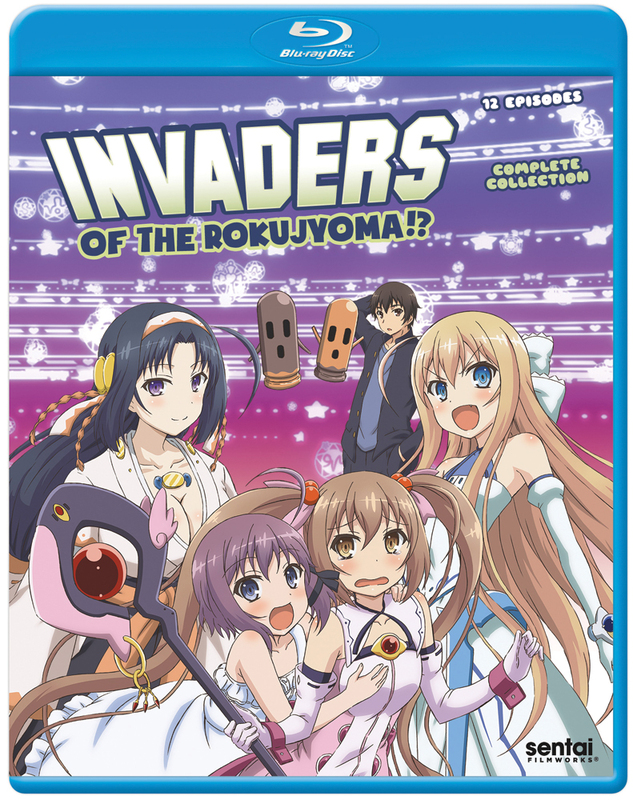 Invaders of the Rokujyoma!? is a show I really enjoyed. 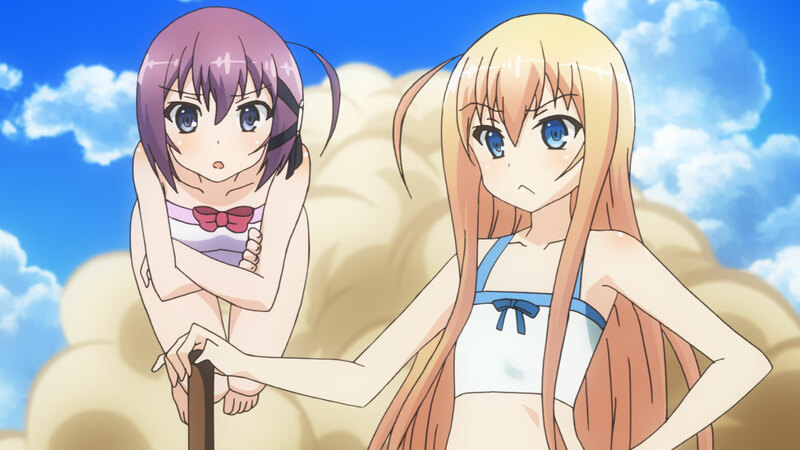 It follows along the lines of your typical harem but with fun characters and a twist that's unique enough although predictable towards the later episodes when the show starts building the twist up. 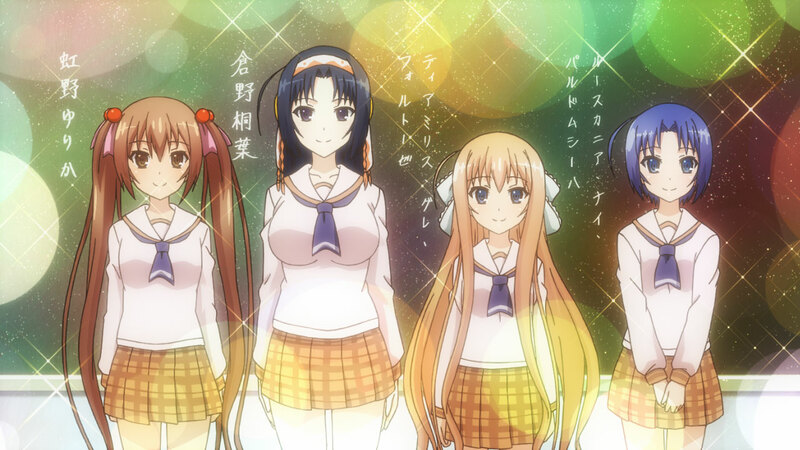 A very fun show that while not anything groundbreaking, does rise above other harem shows. 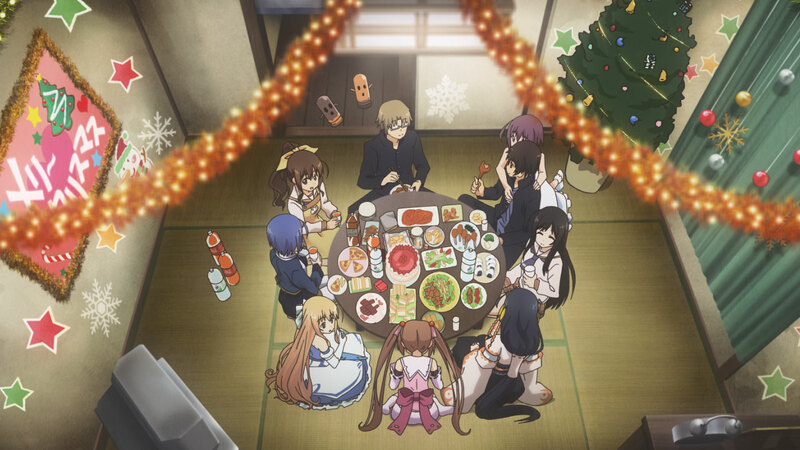 It has one of the silliest set-up's you'll encounter with the MC settling into a small cheap apartment and in quick succession four girls, a ghost, an alien princess, a lost civilization priestess and a magical girl all show up claiming ownership of the same room for various reasons. They eventually agree on a system of games/challenges to see who get's final ownership of the room. 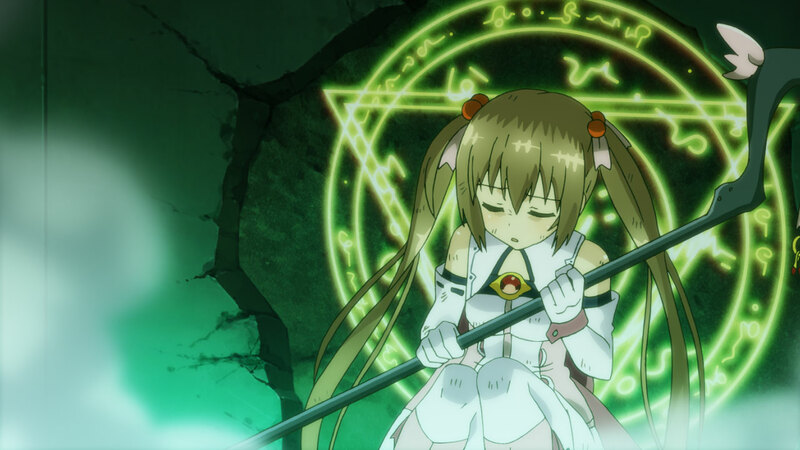 One of the funnier running gags is that despite the backgrounds of the other girls, they all think the magical girl is just a delusional cos-player. The MC has an outgoing and competitive personality though he still has the oblivious nature common to harem leads. The girls are all likable enough and each get their own story arc. There's no real resolution at the end though there is an interesting little twist showing the MC and the girl from the club he's in (the knitting club). One of shows I thoroughly enjoyed from beginning to end. Characters are very likable and the show is a lot of fun. It's a shame there isn't another season, but you can still read the light novels if you want to!